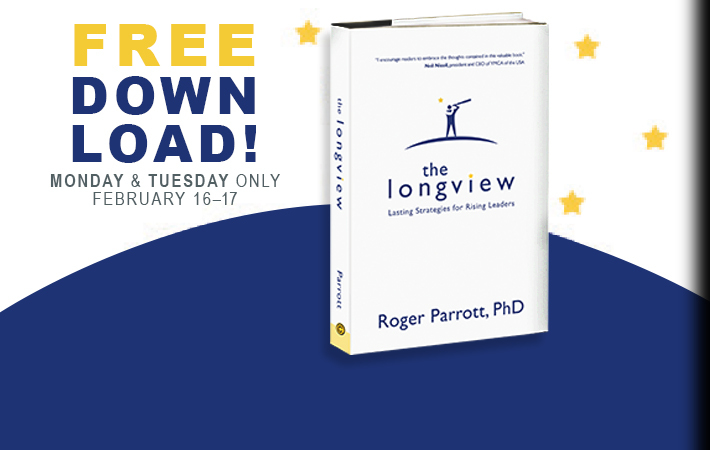 Dr. Roger Parrott, President of Belhaven University is the author of a highly reviewed leadership book, The Longview: Lasting Strategies for Rising Leaders. The publisher is offering Dr. Parrott’s book for FREE Monday and Tuesday for e-book readers. It can be downloaded to any electronic device. The normal Kindle price is $9.99. In addition, hard copies of the book can be found through any of the major retailers, including Amazon, Barnes & Noble, and Lifeway. This spring, I’m looking forward to continuing our study of the life of Kind David. This past fall we took a detailed look at the lessons to be learned from the story of David and Goliath. And now, we jump into a wide range of exciting and troubling challenges throughout the rest of the life this great leader. How Would God Describe You? Along with with this study of David from the Old Testament, we’ll have two chapels with with Dr. John Perkins. They don’t get any more influential and insightful than Dr. John, and I’m thrilled our student can hear twice from this giant of the Church. Other important services are planned throughout the spring. Below is the full schedule. ** Because chapel is now offered twice each Tuesday morning, we have seating space for friends of Belhaven to attend if you’d like to come. Chapel runs for 50 minutes on Tuesday mornings. The identical services begin at 9:35 and 11:00 am. March 25 How Would God Describe You? Only the 11 am chapel will be held this day so all students and faculty can join in celebrating the accomplishments of the year. Classes scheduled for 10:50 on this Tuesday are canceled. The past four weeks I’ve been speaking in chapel examining the story of David and Goliath. 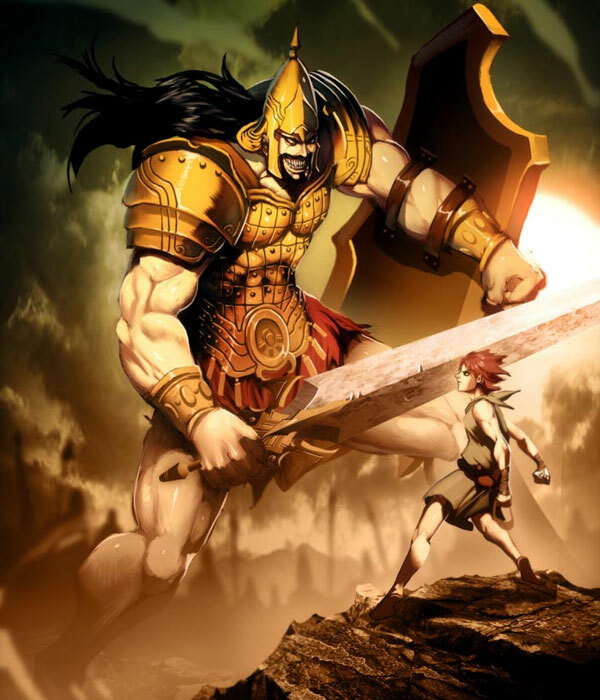 This past week, we looked at the nature of giants in our lives, and how we attack the armor of the giants rather than beating the giant inside the armor – and that if we don’t fight the real giant, the taunts of the giants will continue to plague us. If you’d like to hear the entire message you will find it HERE. We tend to put on our armor so others will only know our persona, not the true person who is vulnerable, fragile, and scared behind our armor. or a thousand other paths that take us anywhere we can’t see ourselves in a mirror. And feeling protected there, for a moment, a day, a year, or a decade we feel safe, insulated, anesthetized. But then the adrenaline wears off, a quiet gap comes into our busy schedule, the liquor turns to a headache, the spiritual intensity loses its emotional high, the illicit lover leaves, or the consequences of bad choices tumble down on us . . .
. . . and we hear Goliath’s taunts again. 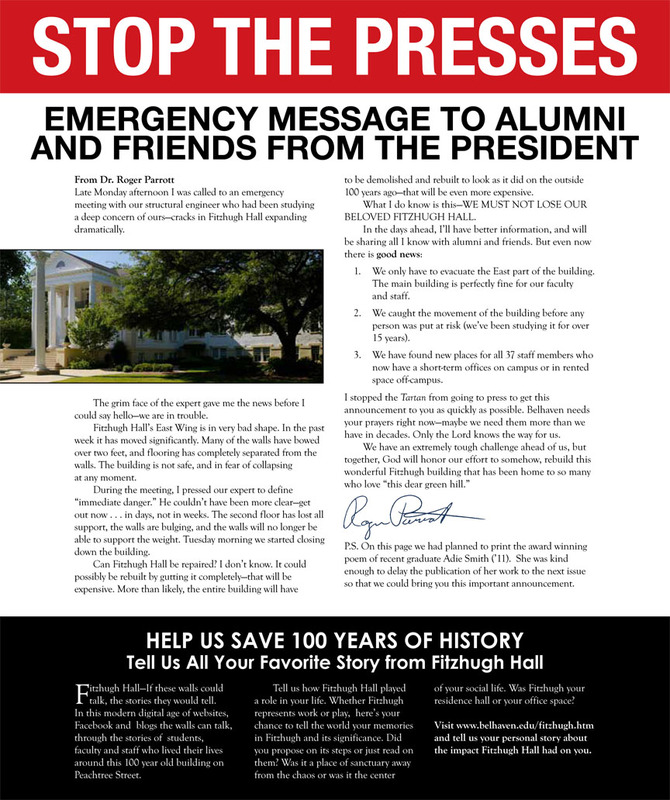 Dr. Roger Parrott is an author, and president of Belhaven University. Dr. Parrott’s history of service in missions (Lausanne) and education has equipped him to provide solid advice for both experienced and aspiring Christian leaders. We asked Dr. Parrott some questions about leadership, and have provided his valuable answers. 1. What do you think is the biggest challenge facing leaders today? Stability. We are leading in a remarkably uncertain time, and what those we serve need a leader who is not pushed back and forth by the changing circumstances. When a leader is chasing after a variety of options without assurance of what might be effective, hoping the next one will bring a solution, the people around us become fearful and constrictive in their work. They don’t need a leader who has all the answers, but they do need one who has a firm hand on the rudder to set a clear course during this storm. 2. What is one characteristic that you believe every leader should possess? Humility. Answers are not hard to find if you listen. Charisma is not hard to whip up with a bit of practice. Courage comes with the territory of leadership. But most leaders fail because they don’t have the humility to understand their role is to serve others, not to be their boss. When a leader is humble, they hire around them the best people, they trust the judgement of others which in-turns empowers others, and they are accepting of ideas from any source. If a leader has the humility to understand the privilege of serving, rather than wanting to be privileged for being the leader, then the entire ministry creates the energy that pushes the mission forward. 3. How do you deal with anxiety and stress? I have learned to look back – and in doing so I lower my anxiety and stress when I look forward. The future is ominous—but then, the future is always ominous! When we look ahead at our challenges personally, organizationally, or globally, we say “yikes” because the unknown is overwhelming. But when we look behind, we see the route we’ve already traveled is much like the one ahead. And when we recount how we have overcome the unknown and unexpected challenges of the past, we can say “wow” because of how God has protected us. 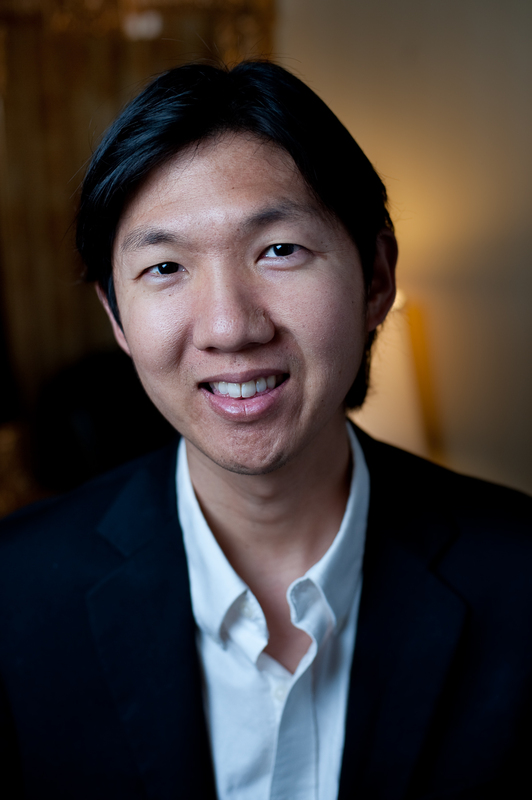 The reminder of the interview with my responses to the other 2 questions can be found HERE. Once each year I have the opportunity to speak to all of our faculty and staff, along with their spouses. For our annual Service of Dedication we are also joined by many of our Board of Trustee members, student leaders, and some close friends of the University. Our branch campus faculty and staff join us through video. A highlight each year is recognizing anniversaries of service 5, 10, 15, and 20 year milestones this year. We present clocks – which get larger the longer they have been at Belhaven, and the few 40 year clocks we’ve given through the years were beautiful grandfather clocks. Or the video is below. Can I shamelessly brag on my younger brother a bit? Les is an author of 50+ books, and this week his newest title was ranked #1 on the New York Times Best Seller List in the Paperback Advice category. The book is titled “The Hour That Matters Most” and is about the importance of families making the evening meal together a high priority. 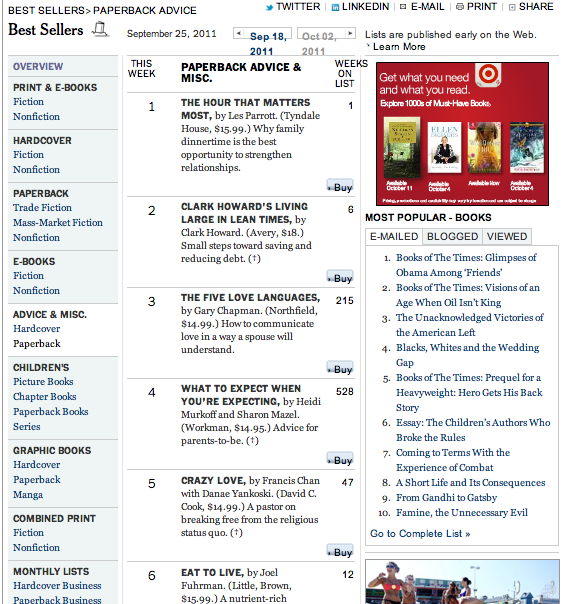 Great to have a Christian author make that list…..and even nicer when it’s my brother. I’m proud of him.